The gallbladder is a small organ in vertebrates where bile is stored before being released into the small intestine. Humans can actually live without a gallbladder. 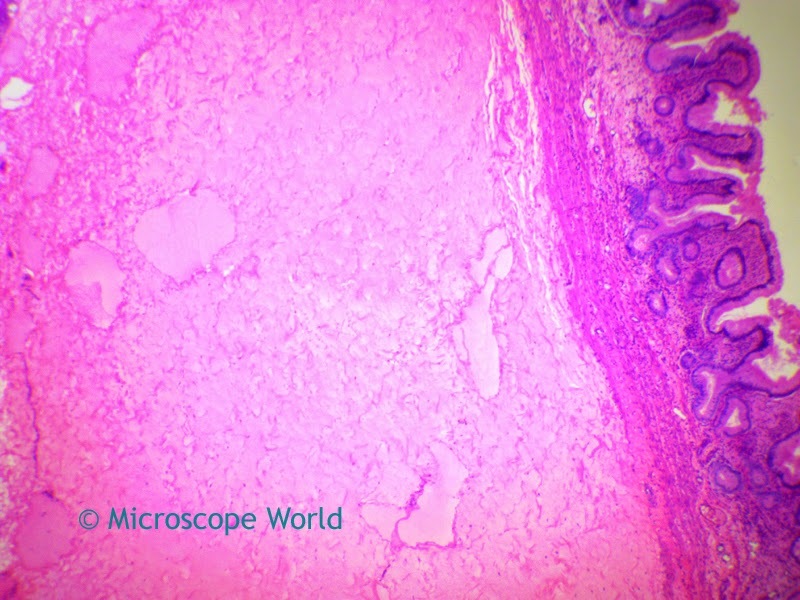 Under the microscope, layers of the gallbladder wall can be viewed. The gallbladder walls' innermost surface is lined with a single layer of columnar cells. 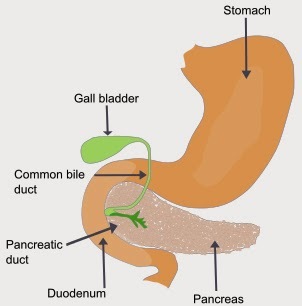 The primary function of the gallbladder is to store bile, which is produced by the liver. Gallbladder under the microscope at 40x. 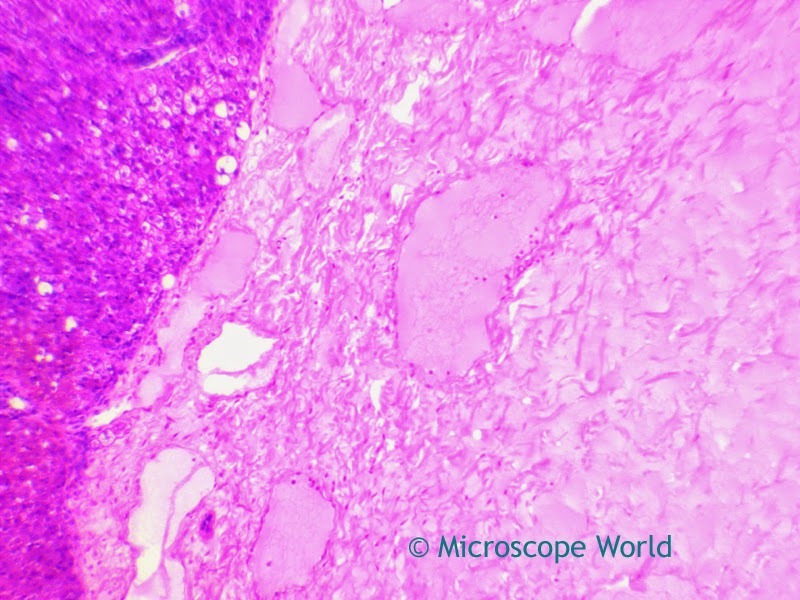 These images were captured using the gallbladder microscope prepared slide. The images were captured with the Richter Optica U1 biological microscope and a microscope digital camera. 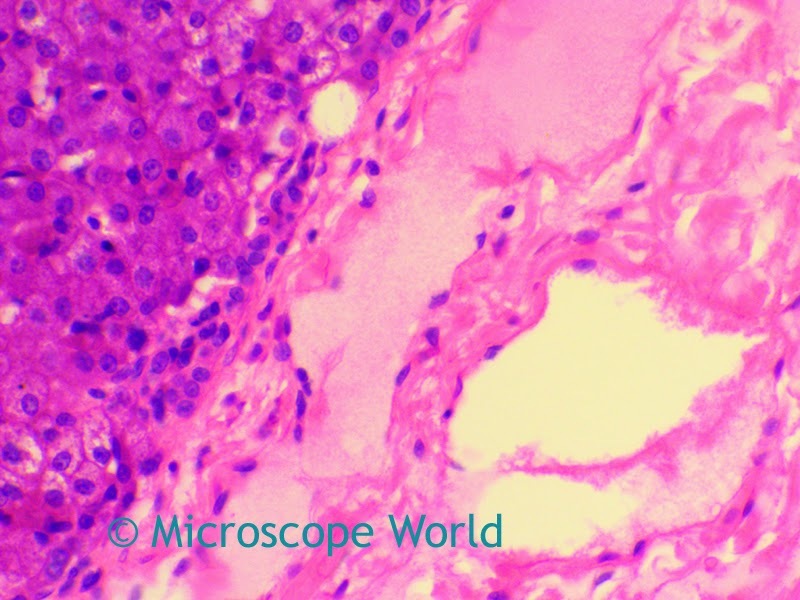 Gallbladder captured under the microscope at 100x magnification. Gallbladder under the microscope at 400x.